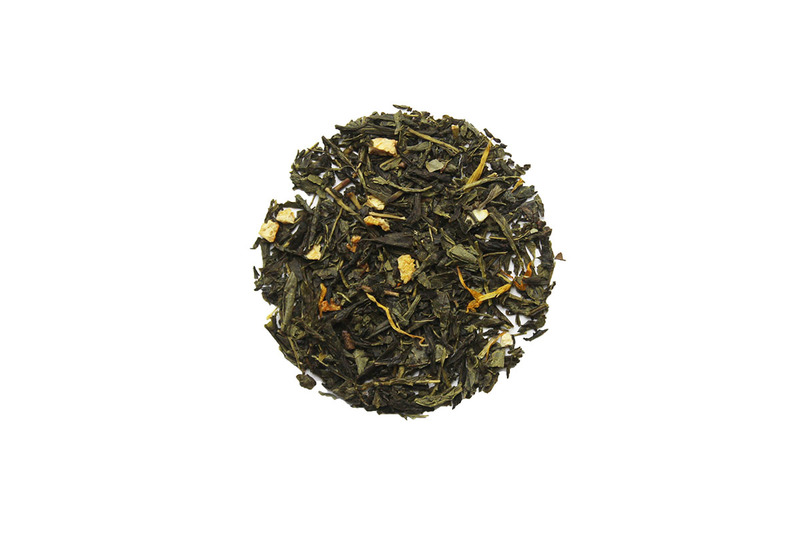 Chinese Jade uses the classic Chinese Sencha green tea. Sench tea, unlike many other green teas, is picked, steamed and then rubbed while drying. This helps to produce a sweet note in the tea and when brewed the tea shows a greenish golden hue. You can adjust the flavor of the tea by subtly changing the temperature of the brewing water. When brewing Chinese Jade, you can start with a short steep of about 30 seconds at the recommended temperature then increase the steep time by 60 seconds for the second steeping and the third steeping. Once you have that first cup, or three, experienced, you can use that knowledge of the tea to increase the temp a little or decrease it a little to see how the tea changes in flavor.